Martha Hodges was reunited with her husband and country-western dancing partner, John Hodges, on April 1, 2019, at the age of 91. She always enjoyed working, especially the 10 years she spent at Cramer Chemical Company. She enjoyed reading the Bible before breakfast, driving all over the United States with her sister and niece, Jodi Schweiger, making biscuits with her grandson, visiting with friends at bridge club, volunteering at the Senior Center, quilting, and dancing. She never missed a chance to share her famous sweet rolls with friends and family. She was the best mom ever. She was preceded in death by her parents, Edna and Ray McIntire, husband John Hodges, and siblings O.R. (Mac) and Bill McIntire and Nadine Kurkowski. She is survived by daughters Karen (Mark) Lewis and Heather (Ron) Rutler, and grandson John Metcalfe. The visitation will be held Wednesday, April 10, at 1:00 at the First Presbyterian Church of Gardner, Kansas, followed by a Celebration of Life Service at 2:00. 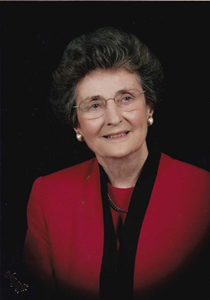 Memorial donations may be given to the Martha Hodges Memorial at the Wellsville Retirement Center, the First Presbyterian Church of Gardner, or Ottawa University. Add your memories to the guest book of Martha Hodges. Great memories going over to the Hodges after church, having lunch and playing with Heather and Karen. John and Martha were great people! Our prayers are with you all. Dear Karen and Heather: Martha was one of my favorite people. Always had fun with the group. She was a wonderful lady! I am sure you will miss her, but happy for her return to John!! God Bless you!! I am very sorry and saddened about Martha's passing. My thoughts and condolences go out to her family. Growing up in Gardner, (being the youngest daughter of Dan and Pat Jones), I have nothing but good memories of Martha and John. They were good friends to my parents. I love thinking about all the times my Mom and Martha would do things together. For instance, after my Dad passed away, my Mom would go over to Martha's house to watch KU, or they would get together and visit, whatever it was Martha always made my Mom laugh. My Mom considered Martha a very close friend. Martha was one of the sweetest and kindest people I have ever met and had the honor of knowing. While our lives are a little darker with her passing, I know she is shining brightly in Heaven. To me, it's always hardest for those left behind. Sadly, we cannot tell my Mom about Martha's passing.